The chapel organ is dismantled for transport to our workshop. A chapel in north Wales invited us to restore a Thomas Casson instrument that was originally built for an hotel. The two-manual organ in Bethania Chapel, Eglwysbach, dates from 1900 and is thought to be unique to Wales. Its first home was a suite in St George’s Hotel, Llandudno and it was moved to the chapel in 1920. 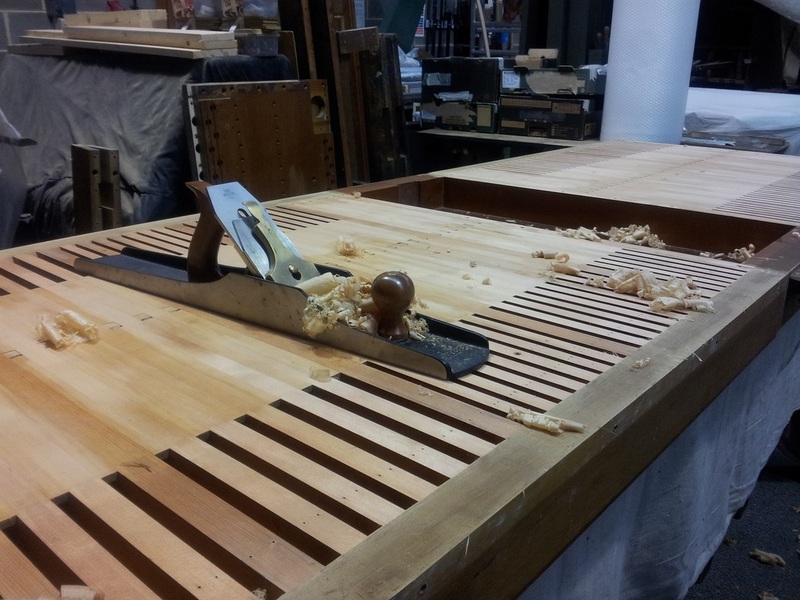 Restoration work on a soundboard. The console prior to restoration. The church of St John the Evangelist at Horbury Bridge, near Wakefield, is a small Victorian gem. Following internal reordering of the building, our firm was approached to re-plan its two-manual Abbott and Smith. Tuning was previously difficult because of the two cramped divisions, so the decision was made to recreate it as a more effective one-manual instrument and to add two new stops. Work is now completed and the new specification is: Open diapason 8, Flute 8, Flute 4, Principal 4, Fifteenth and Trumpet. A former curate was Sabine Baring Gould who wrote Onward Christian Soldiers for children to sing when they marched up Quarry Hill to St Peter's Church, Horbury, on Whitsunday. The Church retains his processional cross and the lovely oak rood screen is dedicated to his memory. Work in progress on the soundboards. A project, recently completed, involved major restoration of the 1911 three-manual Harrison and Harrison in the re-ordered church of St Chad, Far Headingley, Leeds, including the console, left. David Wood was invited to address the congregation at the service of rededication. Wood Pipe Organ Builders completed the restoration of a two-manual Casson built in the 1880s at All Saints', Thorpe Malsor, Northamptonshire. The elaborate 19th century console and case feature stencilled decoration. Paul Hale, organist of Southwell Minster and consultant to the scheme, wrote in Organists' Review: "To enter All Saints’ and then look west is to behold a quite remarkable sight – much the most spectacular nineteenth century organ in any village church the length and breadth of the land. Standing there, replete with 16ft pedal towers, all gloriously painted with lavish biblical references and images of saints and angels, is an organ by Thomas Casson, installed during the 1880s and restored by Wood to full working order after many years of damply mouldering away. "Wood took the organ apart in 2010 down to the smallest piece ... and painstakingly restored it to a fully functioning instrument, working out as they did so the function of numerous tubes and pieces of mechanism which had been disconnected over the decades. The glorious painted pipes and casework have been conserved by Jenny Duffy." St Giles, Pontefract, West Yorkshire. Click to hear the Impromptu No 2 in D by Sidney H Nicholson. It is from the recording by Gordon Stewart on the organ in St Giles, Pontefract, restored by Wood Pipe Organ Builders in 2005. Dr Stewart is pictured, right. Blackburn Cathedral has a world-class organ, built by J W Walker – and rebuilt by our company..
Richard Tanner, a former director of music, writes: 'Three leading organ builders were invited to submit proposals for rebuilding in 1999, all of which turned out to be highly imaginative. "When I arrived at Blackburn there seemed to be a sense of inevitability that David Wood should restore the organ. He quickly impressed me in all sorts of ways; nothing seemed to be too much trouble and he clearly had a great understanding of the instrument, its problems, and what we required. "Wood of Huddersfield was duly awarded the contract. One problem was how to play all the additional features from the 1969 console. Nostalgia surrounded this beautiful piece of furniture. It was comfortable and had undergone modernisation. However, it became clear that it was not wise to adapt it to fit an array of extra stops for which there was no room. 'It also became clear that we would need four manuals to play the instrument properly. Once the decision to commission a new console was taken, we were in a position to add even more stops! This, with the proposed re-wiring of the organ, made it possible to add a number of sub-octave and octave couplers to enhance its versatility. Above all, it was thought that the new console would act as a visible and lasting tribute to David Wood and his fellow craftsmen. In the video, above, the Italian organist and composer Gian Vito Tannoia plays Liszt's Prelude and Fugue on BACH on the organ of Blackburn Cathedral. The first organ at Beverley Minster was built by Snetzler in 1767 and many of the original pipes are incorporated in the present instrument which has undergone many changes. At its opening in 1769, music by Handel was performed. The most recent refurbishment, by our firm, was dedicated in 1995. There are nearly 4,000 pipes, four manuals and 72 stops providing combinations of sound that suit a large repertoire. 1905 - Abbot and Smith, using a small amount of earlier pipework. 1951 - John Compton, much new pipework except in swell and choir. 1985 - Wood of Huddersfield, much new upperwork, some rearrangement. David Wood, standing by the case, prepares to cover the organ with sheeting prior to extensive building work in the nave. The three-manual, mechanical-action instrument in St Paul's Hall, University of Huddersfield, marked an important milestone for our firm and has drawn some of the world's most distinguished players, among them Dame Gillian Weir, Piet Kee, Jacques van Oortmerssen and David Briggs. It is used for the teaching of undergraduate and postgraduate students and is on the roster of organs used by the Royal College of Organists for its diploma examinations. The organ was designed in association with Keith Jarvis, a former university organist. He said: "The instrument holds a special place in the organ world of Great Britain and has considerable international recognition. "It is a credit to the builders, Wood of Huddersfield. Philip and David Wood are in the top league of British organ builders and I would like to thank them for their dedicated work over the years." 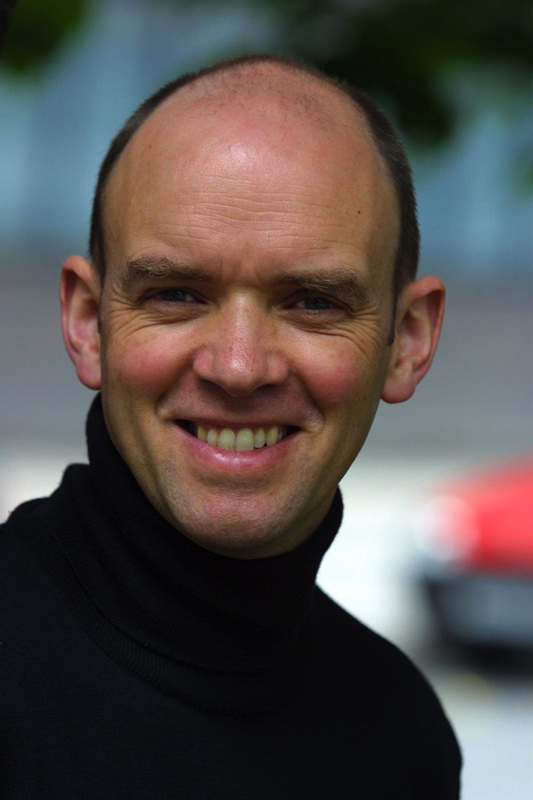 University organist, Tom Moore, arranges organ recitals featuring leading performers. The four-manual Lewis organ in Albion Church, Ashton-under-Lyne. This fine four-manual Lewis of 47 stops in Albion United Reformed Church, Ashton-under-Lyne, was built in 1894 at a cost of two thousand guineas. A new console was fitted in 1953 by Rushworth and Dreaper when the instrument was also cleaned. Our firm was invited to provide new action. 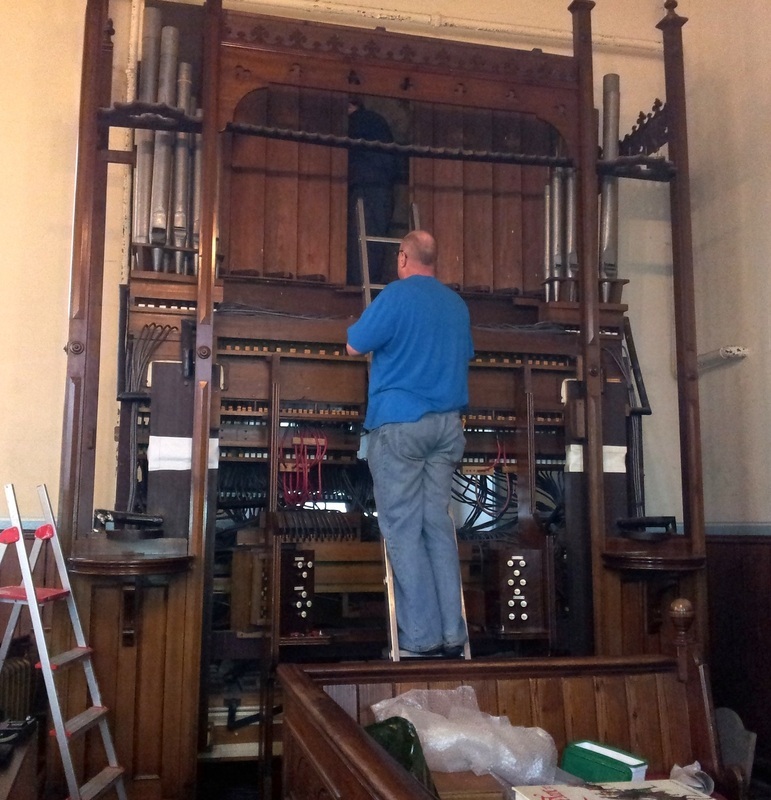 When a generous benefactor, Michael Phipps, donated his two-manual Walker house organ to the University of Huddersfield, our firm was entrusted with its dismantling and re-erection. The 26-stop instrument, left, now stands in the concert hall which bears his name. Mr Phipps and members of our team were at the opening concert in 2009 given by David Titterington, professor of organ at the Royal Academy of Music. A selection of pictures showing the various stages of its rebuilding may be found in the gallery section of this website. When the 1887 three-manual Hill in St Luke's, Brierfield, Lancashire, needed a comprehensive restoration in 2006, the church authorities turned to our firm. The instrument, when we arrived, was pretty much as it had been over 100 years before. The only previous working adjustment dated from 1963 when the mechanical key action to the swell was replaced by a pneumatic action. With this exception, the organ remains faithful to the 1888 scheme and is listed as Grade II with the British Institute of Organ Studies. As part of the restoration, all of the pipework was cleaned and the speech reset. The soundboards required full bench treatment and pallets were re-covered in felt and sheepskin. The large double-rise bellows were re-leathered in the traditional manner and pedal, key and stop actions were re-bushed. The project was completed in November 2007. This handsome Peter Conacher organ from 1874 was erected in the Sibelius Academy, Finland, in 2001 as a practice instrument for the department of church music. Originally built as a home organ for a Huddersfield gentleman, it was later transferred to a local chapel. Finland became its destination when the chapel closed. Before its journey, the organ was carefully restored in our Huddersfield workshop. The action is mechanical and the front is of walnut. A soundboard from the organ of St Mary, Hawkshaw, near Manchester, after it was restored in our workshops. The instrument was built in 1905 by the firm of W E Richardson and we were called in to deal with severe deterioration in the leather and felt. Our team completed the restoration of the instrument, with no tonal changes, in 2009. A full clean and overhaul. Replacement of transmission with a microprocessor-based unit. Replacement of great and swell under-actions with electro-pneumatic actions. Addition of 12 pipes to the swell double clarinet. Replacement of the old electronic double ophicleide with a 12-note extension. The church of St Mary the Virgin, Buckland, near Oxford, possesses a magnificent organ, built with two manuals by G M Holdich in 1890. Six years later, Charles Martin, who was active around Oxford, rebuilt it, adding a choir division. Today the configuration is the same, with three manuals and 30 stops. In 1999, following a community fund-raising exercise, Wood Pipe Organ Builders rebuilt the organ. The troublesome tubular pneumatics were removed and replaced by electro-pneumatic actions. The console was relocated under the tower crossing, and now includes a micro-processor based combination system. The choir division was relocated on top of the swell. The tracker-action organ, right, was built by Wood for St Peter's Chorley in 2001, as the church celebrated its 150th anniversary. The wooden stopped diapason on the great came from the original Jardine of Manchester instrument. Further pictures of this instrument may be seen the gallery section of this site. Great: Open Diapason 8, Stopped Diapason 8, Principal 4, Gemshorn 2, Mixture 19.22.26. Pedal: Sub Bass 16, Bassoon 16 . The first organ in Grantham Parish Church dated from 1736, had three manuals and was on a screen in the centre. It was rebuilt in the mid-19th century and relocated to the north aisle. Another rebuild followed in 1906 when it was enlarged and the fine casework by Walter Tapper provided. In 1971 new keyboard actions were fitted and the choir organ replaced with a positive section. By the early 1990s, however, a major refurbishment was necessary and a fourth manual fitted. Wood of Huddersfield carried out the work, adding a new choir division. The 1971 positive was made part of the solo organ. The two-manual organ in St Cross, Clayton, Manchester, built in 1995 by Wood Pipe Organ Builders, has received widespread praise for its tonal quality and versatility. The case was made in our workshops by Richard Burrows and Derek Monkhouse. More pictures of this instrument may be seen in our gallery. The specification is on the right. Mechanical key action, electrical stop action. 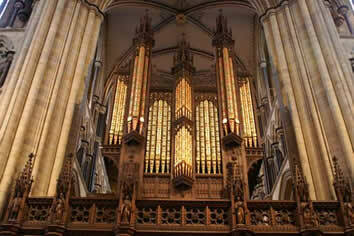 The authorities at Truro School were delighted after taking delivery of a new organ for the school chapel. 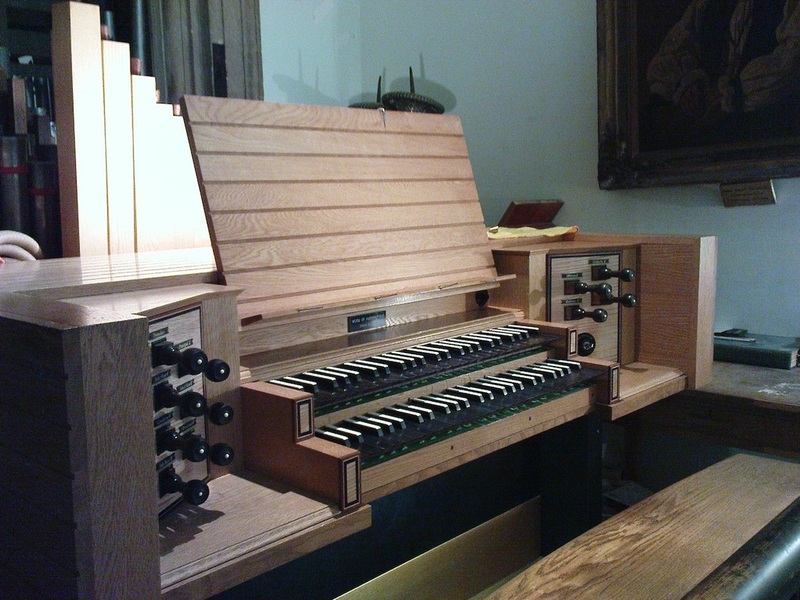 The instrument was purchased from Jesus College, Cambridge, and installed by Wood. Martin Palmer, the Head of Music, said the school would never have been able to have afforded such an instrument new. "We're really excited by this instrument. It was built in the 1970s and it's a very bright, sparkly, neo-classical instrument, with very exciting sounds." Please see the gallery page on this site for more pictures of the rebuilding of this instrument. When Southwell Minster was planning to install a nave organ, the decision was taken to combine good housekeeping with conservation by re-using a large amount of worthy material. It proved possible to re-use the better part of two organs by J J Binns of Leeds. The first had stood in the Upper Independent Chapel, Heckmondwike, since 1904, the other was built in 1924 for Waterbarn Baptist Church, Stacksteads, Lancashire. 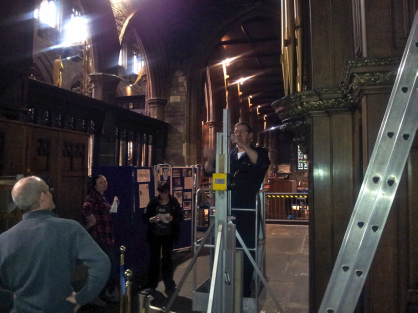 ​They were combined with a new three-manual console and a small amount of new pipework by Wood Pipe Organ Builders. We also carried out complete mechanical restoration and updating. Paul Hale, director of music at Southwell, writes: "Binns organs are always forthright, colourful affairs, most advantageous here, since the big Norman nave at Southwell easily absorbs a lot of organ tone. The new nave organ occupies the first four bays of the south triforium and is only visible from the nave floor if one is deliberately looking for it. A 16' octave of open wood pipes has been re-used from the Bishop organ of 1889 and the magnificent Hill, Norman & Beard Tuba of 1933 (speaking on a pressure of no less than 16") completes the picture. The organ was taken into use at Easter 1992. With its exciting sound and mobile console this instrument has proved superb both for Nave services and organ recitals." David Wood writes: In January 1997 we were approached by Nick Danby of the Royal College of Music for our thoughts on providing a new organ for the chapel of Forest School, Walthamstow, London. Tragically this was to be his last project as he died in July of that year. The scheme was passed to Ian Bell, formerly of N P Mander, and a contract signed to provide a new 12-stop instrument. The site was not easy as the organ had to project through an archway without intruding on the limited seating area in front. It could not go back far through the arch where the only window of any merit – by William Morris – could not be obscured. ​David Graebe architect, who had designed the casework in St Paul's, Huddersfield University for us, produced the casework design. The school was immediately taken with it and we started work. We had the chance to use computer-aided design for the first time and results were good. The casework was typical of the high quality that Derek Monkhouse and Richard Burrows consistently achieved. Great: Open diapason, Chimney Flute, Principal, Gemshorn, Mixture 15.19.22, Trumpet. Positive: Gedackt, Koppel Flute, Principal, Sesquialtera 12.17. Pedal: Sub-bass, Bassoon. When fire destroyed the interior of St Paul's, Armitage Bridge, Huddersfield in 1987, the congregation determined the church would reopen. Their wish was fulfilled three years later. As part of the project, the interior was re-ordered and a two-manual tracker-action organ built by our firm was installed in an ash case on a new west gallery. The organ in St Paul's Church, Armitage Bridge, is played in the recording, below, by Shaun Ward, B.Mus, MA, LTCL, (right) a former music student of the University of Huddersfield and now director of music at St Laurence, Ludlow, Shropshire. The recording was made by the Huddersfield Organists' Association in the 1990s as part of a project to demonstrate the range and quality of the pipe organs in the town. Shaun plays the Voluntary No III in G by John Stanley. Please click the arrow to hear it. Manual I: Open Diapason, Chimney Flute, Principal, Fifteenth, Mixture, Trumpet. Manual II: Stopped Diapason. Pedal: Bourdon. The two-manual organ in the 17th century chapel at St Edmund Hall, University of Oxford, was designed, built and voiced in Huddersfield and continues in the care of our firm. The consultant to the 1978 scheme was James Dalton, Emeritus Fellow of The Queen's College. 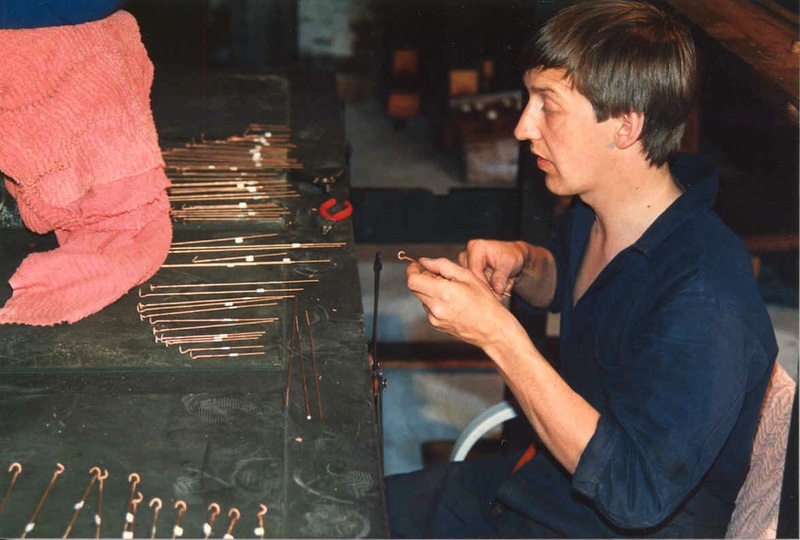 A youthful David Wood works on the French Conacher. A client's dream of having a pipe organ of his own was realised after he moved to France. He'd heard about a 1921 Conacher in a redundant church at Hebden Bridge, near Halifax, which was to be auctioned. The instrument was to prove ideal for the barn adjoining his house near Limoges. Philip Wood, who had known the organ for nearly 40 years, attended the sale in 1987 and the team at Wood Pipe Organ Builders was tasked with its transport and rebuilding. The process took two weeks in the summer of 1988 and the opening concert was given by Pierre Cogen, then organist of Sainte-Clotilde, Paris. More pictures of the instrument may be seen on our gallery page.